Mississippi gets a bad wrap. We definitely earned it over the years but everywhere I go people always ask me what it’s like to live in Mississippi, rarely because they think it’s probably cool. They’re often surprised when they find out that I’m intelligent or progressive. When I mention the first lung transplant and animal-to-human heart transplant were performed at UMC in Jackson, Mississippi – the very hospital leading the way in AIDS research, people’s minds are blown. A guy from Portland, who I met in New York, thought I was joking when I told him those things. That’s why we want to start an every-other-week blog post called Mississippi Mondays, where we’ll talk about our accomplishments instead of lists where we come in at the bottom. It seems every time I commit to staying here or brag on something we’ve accomplished as a state, some elected official does something embarrassing or we pass a backwards law–but as a whole we’re moving forward. People ask why I don’t leave (I think about it more than I should), but I’m going to be here when we right this ship. We’ve had a lot more ground to recover than a lot of people and states, but those of us who really love this state and want to do what’s right have acknowledged the daunting task. We’ve made up more ground than most, but started from a pretty disadvantaged position. One thing Mississippians do remarkably is come together as a community in the face of adversity. We live in Tupelo, a city that has always been known for progressive governance and education practices, but also home to the American Family Association, known for their very conservative values. The two groups, and everyone in between, are regularly bickering over one thing or another. We always have something to fight or complain about and, to be honest, it gets incredibly obnoxious. We do a fairly good job of sifting through our arguments and coming to a compromise eventually but it often times involves a lot of gnashing of teeth. 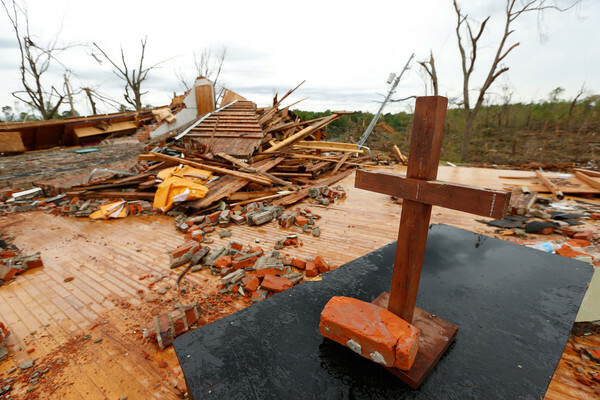 Two months ago an EF-4 tornado struck Northeast Mississippi and dealt a huge blow to large portion of our town. Multiple neighborhoods and an entire business district were completely destroyed. The minute the tornado was clear of town, residents activated. Volunteer centers were set up, neighbors began pulling trees of each others houses. The police and firemen had every home cleared within a matter of hours. A week later when the dust settles and the news cycle began to change, the neighbors, churches, friends and family were still working to help each other clear debris. My friend Josh Mabus and his staff at the Mabus Agency set up a website, TupeloStrong.com where residents could meet needs not met by larger agencies. People were still posting and responding to needs last week on the website, almost two months after the tornado, when most communities and people would have moved on. At the newspaper I still write at least two tornado relief and recovery related stories each week. This week, a Marine veteran decided to take half of the money from his annual fundraiser and donate it to Eight Days of Hope, an organization that endeavoring to have more than 2,000 volunteers repair 150 – 200 tornado damaged homes over the course of a week. The project will cost $500,000 and a substation portion of the money has already been raised. You can help by donating here. We place a lot of worth in a person’s political party and doctrine here in Tupelo but in the face of disaster, the liberals and conservatives, the Sikhs and Baptists, the illegal immigrants and the hardline conservatives put more worth in humanity. It’s beautiful to see people so invested in their ideas put those ideas aside to invest in each other. That’s why I love Tupelo, that’s why I love Mississippi. We come together in times of need like no other people-group I’ve seen before. 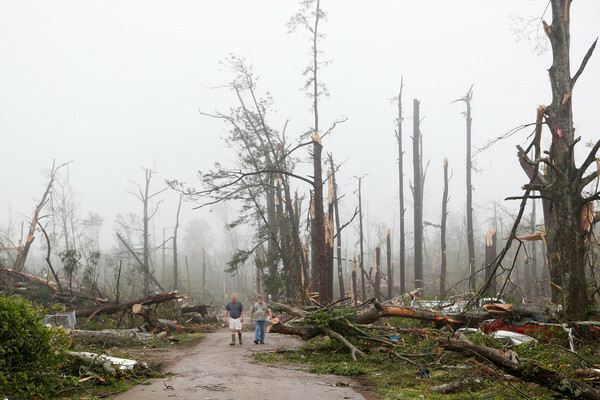 As a side-note, my newspaper just finished editing all of our tornado pictures and have put together a collection of photos of the tornado damage and recovery process. It’s available here. The two pictures used in this story were taken by our very talented photo staff, Thomas Wells, Lauren Wood and Adam Robison.